I picked up Morgan Rhodes‘ A Book of Spirits and Thieves on a whim. So far, most books I’ve picked up on a whim have been rather disappointing (I’m looking at you, Tiger’s Curse) but A Book of Spirits and Thieves was surprisingly enthralling and interesting. But the whole time, I felt like there was something missing, and I can’t quite put my finger on what. I’ll admit, I chose ABOS&T (man, even the acronym is long winded) because it was a portal fantasy, similar to my current project. Teen girl gets dropped into ancient, magical world and has to get back home. That’s the bread and bones of the book. And I wanted to check out the competition and see if there was something Rhodes brought to the genre that I haven’t, or vice versa. Reading the book description on Goodreads had me believing that Becca Hatcher, aforementioned transported girl, was the main character and therefore, it’d be her point of view we’d be seeing. 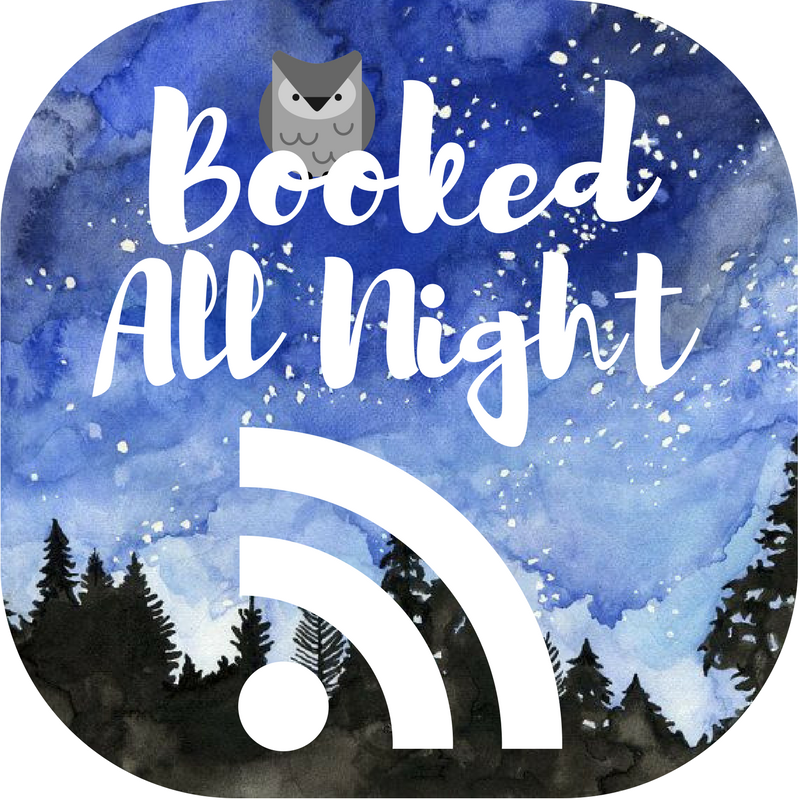 The story is, instead, told through people surrounding the incident of Becca’s departure: her sister, a boy she meets on the other side, and an increasingly infuriating rich kid who has barely any ties to Becca. We see what happens to Becca from everyone else’s perspective and never once do we really see what Becca thinks or says unless she interacts with another character. It made me feel like Becca was merely the plot point and was hardly necessary once the inciting incident was over. But the characters we do get to see are complex and thoroughly human, so despite expecting one thing and getting three different things, I’m pretty satisfied. We see Crystal, Becca’s sister, actively hunt for clues and a reason as to why this weird thing happened to Becca. She’s a clever, determined girl who doesn’t stop until she gets the truth. Then we see Farrell, a rich boy in town, who’s getting into dark things that run deeper than he would have ever imagined when he starts investigating the circumstances of his elder brother’s apparent suicide (the concept of which gets swept under the rug sometime during the plot, so we never truly get an answer, but we’re left with a tiny inkling of what happened). And then there’s Maddox, the only view we get into this magical realm Becca was transported into. He’s a young do-good necromancer who gets pulled into a rebellion and helping Becca back to Earth all at the same time. He’s not quite the dashing hero one would expect; he’s not confident or strong, hardly ever has a plan, but is endearing and means well. The characters of Rhodes’ world are excellently portrayed as human (and sometimes more than human) in every way you could ever want. But the world building feels lackluster in comparison. Perhaps because ABOS&T is spin-off of sorts from her Falling Kingdoms series and because I hadn’t read those books I felt a little lost in the world of Mytica. There were plenty of things told to us but never explained (why did the book that sent Becca to Mytica not do the same to Maddox when he touched it? In fact, why where there two copies of the exact same book? How did Markus get to Earth from Mytica anyway? What’s the deal with the King’s apparent daughter? And so many more…) Lots of names were dropped, but so few were actually explained or shown to have any relevance. There were a few twists I saw coming from a mile away (like Barnabas. His twist was borderline cliche) but some that I found actually surprising. Unfortunately, the ending seemed rushed and came with a heavy sense of Deus Ex Machina: suddenly, certain people were not dead, it was the plan the whole time, even though it felt like some solutions came out of nowhere and everyone got answers and long winded monologues on how and why they did the things they did served to them on a silver platter. Wasn’t that convenient and lucky? 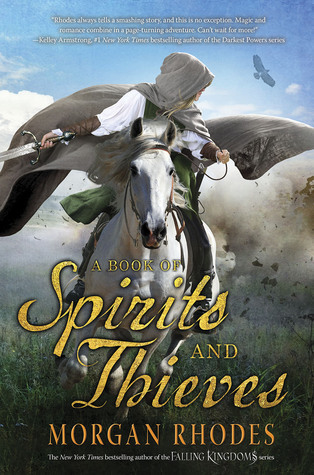 I give A Book of Spirits and Thieves a solid three stars, for excellent characters and a rich writing style. Perhaps if I knew the world a little more I’d give it a higher rating. If you’re a fan of fantasies (especially portal fantasies!) I’d recommend it. I’m sure if you’re already a fan of Rhodes’ other books, you’ve probably already gobbled this one up. If you were a newcomer like me, give it a try on a rainy day. Maybe you’ll fall in love.